In the following sections we expand upon the information above and approach it from various perspectives to measure the growth of Facebook in Dubai over the past year. We will try to understand how the social media platform has come to affect communication and engagement among citizens in the emirate and the country as a whole. People of both genders have accepted and adopted Facebook with open arms. While men do form the biggest chunk of Facebook users in Dubai, with 3.375 million active users, women are not far behind. 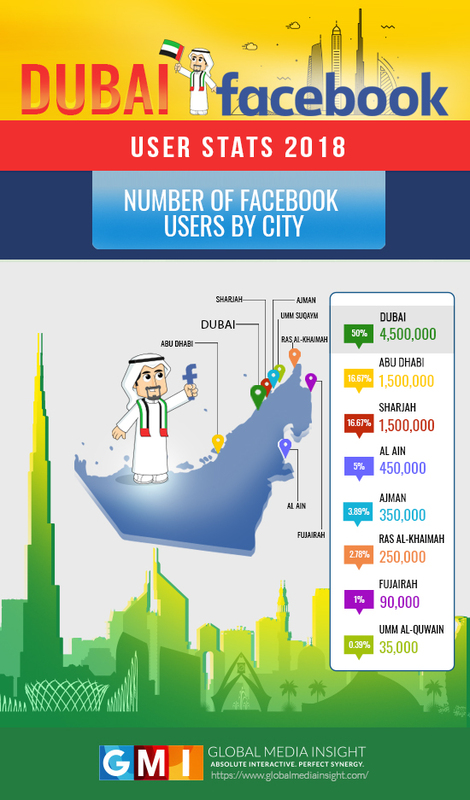 At 1.125 million, Dubai contributes nearly half of the total number of female Facebook users in the UAE. These numbers are highly encouraging, especially considering that social media platforms like Facebook have largely been a medium for women to reach out, connect with like-minded individuals and expand their horizons. In addition to women, Facebook has also found great acceptance among both middle-aged and senior citizens. While the number of senior citizens using Facebook is only a fraction of those between 20 to 50 years of age, the fact that there is a meaningful number of people, and especially women, of advanced years using the platform is something to be optimistic about. Facebook has also witnessed early adoption in Dubai, with teenagers taking to the platform in significant numbers. 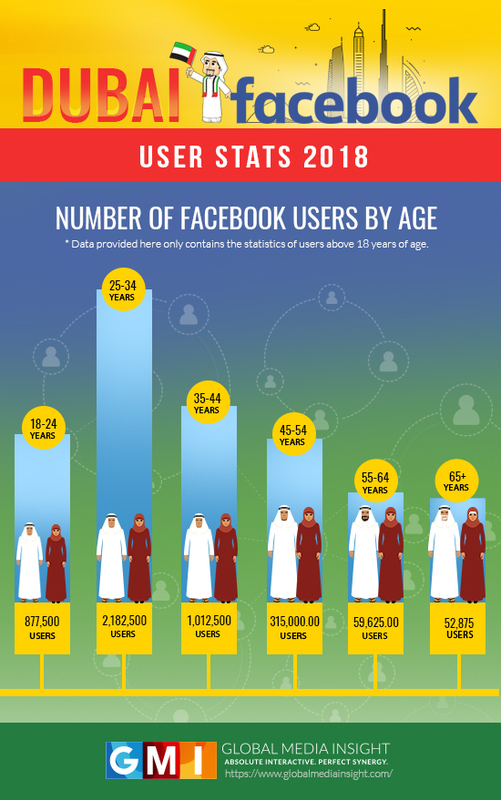 Even though, throughout this article, our focus has been on Facebook, it must be noted that these numbers also paint a promising picture about the overall acceptance of digital technologies and communication platforms in Dubai and the rest of the UAE. This is encouraging not only for the country and the emirate, but also for the future of global communication and trade, especially considering that the UAE is both a cultural mix-up and a connecting point between Europe and Asia. If you are a business operating in Dubai and would like to build a more robust and active social media presence to connect and engage with your specific set of customers, build conversations with them and eventually grow your user base and sales figures, feel free to get in touch with us.